I feel like I have seriotype fever or something lately. I just can't get enough! 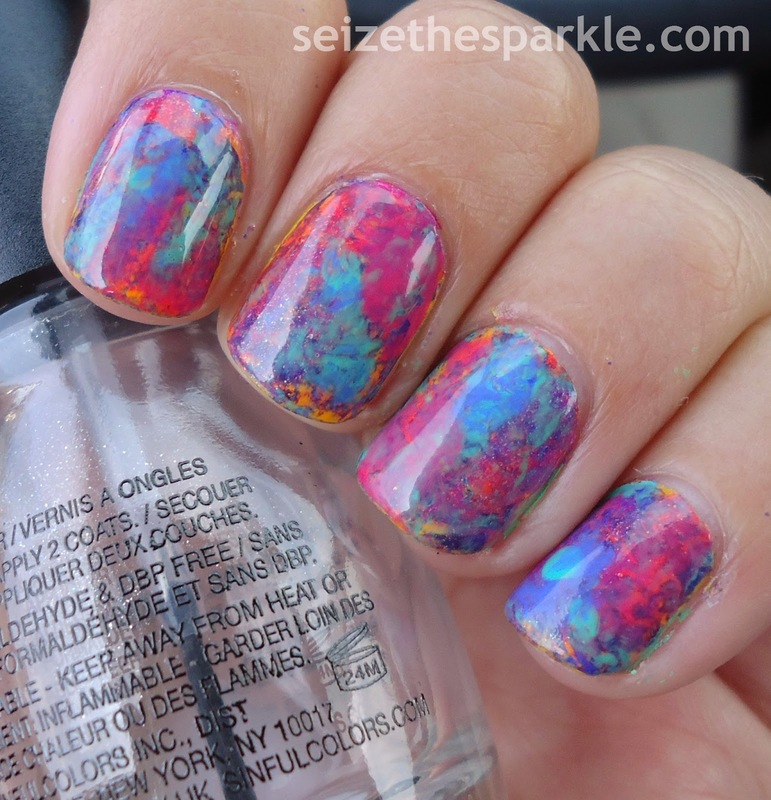 The cool thing is... the more colors you use, the more fun of a look you end up with! This one reminds me of what a well-seasoned artist's easel looks like. Just full of all kinds of paint strokes, smudges, and splatters! While most of these polishes are bright cremes or neon cremes, two actually had a little bit of shimmer in them, so that added a tiny little bit of glitter here and there. After all... can't have a manicure without a little sparkle, can I? Of course not! I'm going to try and do better with pulling the prompt for this series a little earlier in the week. That way, I can give myself a little bit of planning time. Because that really does help! 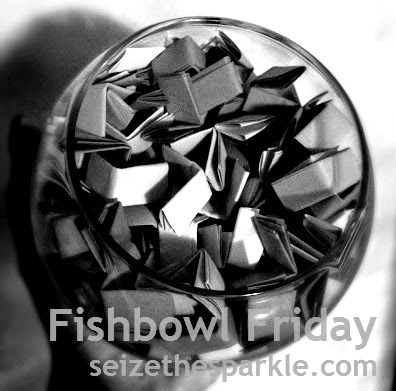 I'm also thinking that it might be fun to turn Fishbowl Friday into a linkup so others can participate. I've just got to figure out how to do that, so bear with me while I do a little research! I really like how this seriotype turned out. I think the only thing I'd do differently is use a gray for the base rather than a color I want to actually see. There are tiny hints of Tropical Pop, but for the most part, the yellow got covered up by all the other layers. Actually, now that I think about it, a white base would've really made this pop. Hmmm... maybe I'll do that tonight? Tomorrow is a busy day... I'm celebrating Mother's Day with Mr. Sparkle's side of the family, and Peanut is totally stoked to have a playdate with her cousin. We're heading to a zoo... and while I'm a little disappointed that some of the animals I wanted to see won't be there yet... I'm sure Sparklegirl will have a fabulous time! I'm going to try my best to document the day, so we'll see how that works out. Capturing animals and Peanut at the same time should be an interesting challenge! After brunch and the zoo, we have appointments set for a much needed pedicure. It's been about a year since my last one, and I'm really not sure what color polish to get. I was thinking of going super light like with an almost-white pink or gray... but then I was thinking neon pink or aqua would be fun too. I'm not sure what kind of polish the salon carries, so that makes it really difficult! I'm definitely considering gel for my toes too... anyone have advice for me? Clearly I rarely go to a salon for this kind of stuff! Then on Sunday... we'll be celebrating with my mom... Granny Sparkle. My sister is coming up and we're cooking for my mom and basically making sure she has the most awesome relaxing do-nothing kind of day. With a couple of fun surprises!